Each year, nearly 7.5 million people seek medical attention for a shoulder problem, including shoulder and upper arm sprains and strains. More than 4 million of these visits are for rotator cuff injuries alone. Many other visits are for injuries to the labrum, the fibrous tissue inside the socket of the shoulder (the glenoid). 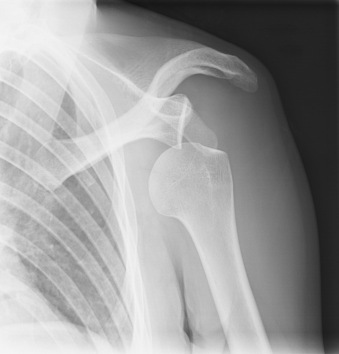 In some cases, fractures of the bones of the shoulder or dislocations of the shoulder joint can occur. Most problems in the shoulder involve muscles, ligaments, and tendons, rather than bones. Injuries are grouped into two areas: impingement (excessive rubbing of the shoulder muscles against the top part of the shoulder blade, called the acromion) and instability (the shoulder joint moves or is forced out of its normal position). Shoulder injuries can be painful and prevent you from working or doing any of your usual activities of daily living. If you suspect you have suffered a shoulder injury due to a car accident, fall down or work related injury (worker’s compensation claim), it is important that you seek medical attention and receive a proper evaluation and diagnosis as soon as possible. Treatment for shoulder injuries may include rest, ice, physical therapy, steroid injections and, in some cases, surgery. What are the “Mechanisms” That Cause a Shoulder Injury? The “mechanism of injury” is a term used to describe the bio-mechanical forces from the accident that caused the injury in question. A doctor diagnosing and treating a patient’s shoulder injury should be informed of the mechanism of injury and document this in the medical records. Shoulder injuries in the workplace (worker’s compensation claims) are frequently reported as a result of a sudden pull to lift a heavy object, a repetitive motion or a violent overhead reach. Other shoulder injuries occur due to the sudden force of a fall down (e.g., with an extended arm to catch your fall) or the trauma from an automobile collision (e.g., by tightly gripping the dashboard or steering wheel just before impact). What are the Types of Shoulder Injuries? Fractures or broken bones, involving the clavicle (collar bone), humerus (top of the upper arm bone), and scapula (shoulder blade). A dislocation of the sternoclavicular joint (between the clavicle and sternum; and. A dislocation of the glenohumeral joint or glenoid (the ball and socket joint of the shoulder), which may become dislocated toward the front (anteriorly) or the back (posteriorly). Soft-tissue injuries or tears of the ligaments, tendons, muscles, and joint capsule of the shoulder, such as rotator cuff tears and labral (labrum) tears. What are the Warning Signs of a Shoulder Injury? What is the Best Way to Diagnose a Shoulder Injury? Your physician will usually order x-rays at the onset of symptoms. Unfortunately, x-rays cannot see soft tissue damage, such a rotator cuff or a labral tear. X-rays commonly show fractures, bony formations and arthritis, which may tell only part of the story. Upon further evaluation, your orthopedic surgeon may order an ultrasound, a test using sound waves that produce images of structures within your body, particularly soft tissues such as muscles and tendons, or an MRI (magnetic resonance imaging), a test that uses radio waves inside a strong magnet to display the structures of the shoulder in detail. If you have a history of a persistent shoulder problem following a report of a traumatic injury, from a fall down or car accident, an MRI may be necessary to properly diagnose a suspected damage to the labrum or rotator cuff. If x-rays and conservative treatments have failed, tell your doctor that you want an MRI as soon as possible. Why is it Important to see an Orthopedic Surgeon if I Think I Have a Shoulder Injury? Although minor shoulder injuries may heal over time with proper medical care, a full thickness or partial thickness tear injury of the rotator cuff or labrum may not heal without surgical intervention. A tear injury may actually worsen with time and result in complications such as adhesive capsulitis or “frozen shoulder” if left untreated. When medications (including steroid injections) and rehabilitative therapies (physical therapy) are not enough, there are surgical options available, including open (traditional incision) surgery and arthroscopic surgery. Only an orthopedic physician can evaluate and diagnose your symptoms and determine whether you have suffered a serious shoulder injury and advise if you will need surgery. Should Medical Records Include a Description of the “Mechanism” of the Shoulder Injury? Insurance companies will often deny a shoulder injury claim when a patient failed to offer a history describing to physicians the way in which the injury occurred, or the “mechanism” of injury. A clever defense attorney will argue that, unless the mechanism of injury is documented in the patient’s medical records, the accident could not have been the proximate cause (legal cause) of the shoulder injury. The mechanism of injury should be clearly stated to medical treatment personnel, to establish what was happening in the moments just prior to impact or during the alleged occurrence, so that the admissible medical evidence (ambulance reports, emergency room records and physician notes) will support a legal claim that the shoulder injury was caused by the forces of impact in the accident, and from no other causes (such as a pre-existing medical condition). When is it too Late for me to Seek Medical Attention? Sometimes, symptoms of a shoulder injury will not be immediately apparent following an accident. If you have already been seen by a physician for injuries from an accident, but did not yet have shoulder injury symptoms, it may be advisable to get further medical attention and address a possible shoulder injury. Symptoms of a shoulder injury can sometimes initially manifest as a neck injury (or vice versa). ER physicians will sometimes order x-rays focusing solely on a patient’s neck and back symptoms, while overlooking a possible shoulder injury. Because x-rays themselves are unable to see damage to soft tissue structures, some shoulder injuries go undiagnosed during the first visit to an emergency room. Remember, significant delays in seeking medical treatment can hinder a successful outcome; therefore, a proper orthopedic evaluation of new or worsening shoulder, such as pain or immobility in the shoulder, should be sought as soon as possible. What is a Typical Shoulder Injury Claim Worth? It is difficult to state the value of your shoulder injury case before reviewing medical evidence and having a clear understanding of the theory of liability. After all, no two injuries or cases are exactly alike. The range of shoulder injury settlements obtained for our clients depends upon the severity of the injury, the likelihood of permanency, and the facts surrounding the incident itself (i.e., the facts supporting a finding of negligence). In most cases, damages for past and future pain and suffering, loss of enjoyment of a normal life, past and future medical bills and provable lost income can be sought. Although our firm has recovered millions in shoulder injury claims, the amount recovered in each individual claim has varied widely depending on the nature and extent of the injury and amount of treatment necessary. For example, a full thickness rotator cuff or labral tear requiring surgery is significantly more compensable than a partial thickness tear that heals spontaneously after a steroid injection or a course of physical therapy. A shoulder injury settlement may be diminished based on issues of liability (i.e., whether the defendant’s fault in causing the accident is disputed and whether the plaintiff’s negligence also contributed to the cause of the accident) or when there are pre-existing medical conditions such as a history of pain. Although many shoulder injury cases can be settled favorably before trial, achieving the highest result is possible only upon careful preparation. How did we reach a settlement for $737,500 in a shoulder injury/rotator cuff tear case? The client had previously engaged another law firm to represent him against the at-fault driver’s insurance company. After a settlement mediation, the insurance company and their attorneys offered $190,000 to settle the case. The client’s former attorney strongly urged him to accept the offer. Unsatisfied with the insurance carrier’s offer, the client contacted attorney John J. Malm for a second opinion. Mr. Malm was asked to take over the handling of the case, and he put together an aggressive litigation strategy calculated to increase offer of settlement by showing that the mechanism of injury, a heavy impact rear-end car accident, with the client’s outstretched hand firmly gripping the steering wheel, had caused the serious shoulder injury that included a full-thickness rotator cuff tear. Mr. Malm began taking depositions of eyewitnesses to the crash, whose testimony helped establish the severity of the impact that caused the disabling injury. Mr. Malm then engaged a vocational rehabilitation specialist to review the client’s work restriction and offer an expert opinion concerning his diminished future employment prospects. Through the testimony of a forensic economist, attorney Malm argued that his client’s future lost income claim would be significant. After conducting depositions of the insurance carrier’s own expert physician and economist, and preparing the case for trial, Mr. Malm settled the client’s case for $737,500. There is no substitute for hard work and careful preparation. Mr. Malm recommended and pursued an aggressive litigation strategy for the client. He reviewed the facts surrounding the accident, studied the mechanism injury and gathered medical evidence to prove the client’s pain and suffering and disability. Mr. Malm was able to obtain an additional $547,500 in settlement of the client’s shoulder injury case. What Other Shoulder Injury Settlements Have We Obtained for Our Clients? Painful shoulder injuries should not be ignored. Without treatment, rotator cuff injuries can lead to permanent stiffness or weakness or even progressive degeneration of the shoulder joint. Do not discuss your injury with the insurance company. If you have suffered a shoulder injury as the result of a car accident, fall down, construction accident or a work related injury, seek medical attention and speak to a knowledgeable injury attorney right away. John J. Malm & Associates is an experienced personal injury law firm representing individuals and families who have suffered an injury or loss due to an accident. You may be entitled to a substantial settlement if you have been injured. Call 630-527-4177, or 312-422-6855, and speak with Illinois shoulder injury lawyer, John J. Malm.